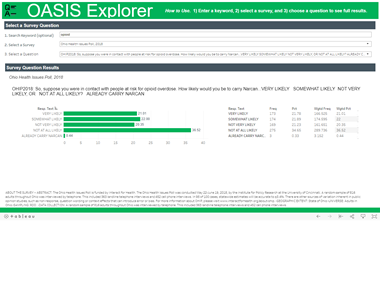 OASIS Explorer lets you search 20 years of Interact for Health surveys. See the question wording, summary results, and details about data collection. Need more than summary results? 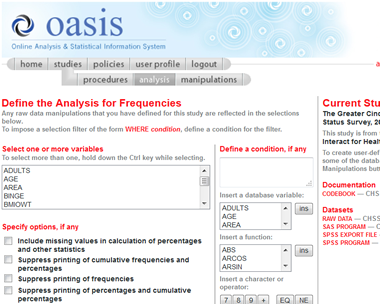 OASIS lets you create custom tabular results to meet your needs, and run advanced statisitcal analysis with coding. Interact for Health continually improves its health data capabilities and resources. We help non-profits find appropriate data sources and collect and analyze their own data. This is a collection of some of the most useful site we've visited and you may find useful.